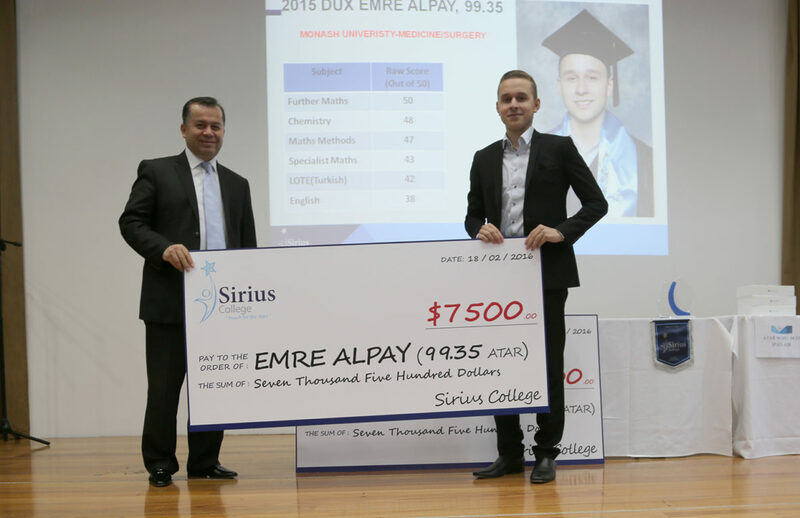 In 2015 VCE Award Ceremony, high achievers Emre Alpay and Abdulkadir Onder were awarded with $7500 worth scholarships for their success in VCE with an ATAR score 99.35 and 99.10. 10 students were also awarded with Macbook Air laptop for achieving an ATAR score above 95.00; and 7 students awarded with Ipad Air for achieving an ATAR score between 90 and 95. Wishing all our ’15 Graduates the very best as they embark on their first year of post high-school adventures.